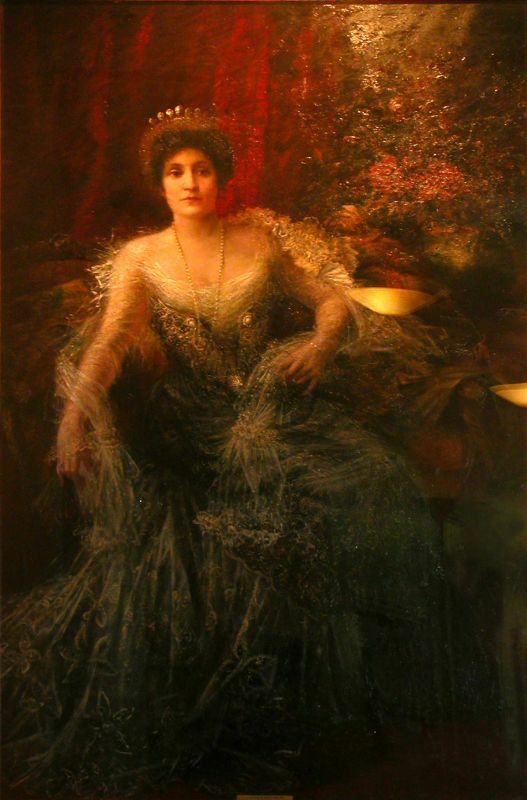 A portrait of Dame Nellie Melba, one of the largest and most dramatic paintings in the Grainger Museum Collection, is currently on loan to the National Gallery of Australia (NGA), Canberra, for Cartier: The Exhibition. Melba was one of the high-profile clients of the famous French jewellery house, and the NGA exhibition will feature a Cartier diamond stomacher brooch owned by Melba, alongside the Grainger Museum portrait. The portrait was painted by Hungarian-born artist, Baron Arpad Paszthory (1867?-1946).